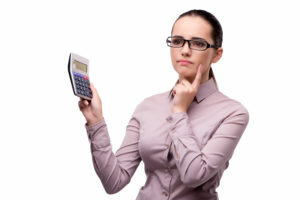 While many people may choose to do their own taxes, there are a number of reasons why someone would opt to hire an accountant. Whether your taxes are particularly complicated, or you feel overwhelmed or uncomfortable by the very thought of taxes, an accountant can help everyone. There are a number of different factors to consider when search for a tax professional. Here are a few things to consider in your search for a tax accountant. What type of tax professional is best for you? Certified public accountants have passed rigorous testing and certification requirements in order to obtain their title. They are also able to represent you in the event of an audit or collections. CPAs have a tonne of other financial experience as well, so they can help with other financial situations as well. Not every CPA is an income tax expert, so be sure to ask about their experience. Enrolled agents also much pass testing and background checks in order to gain their title. Unlike CPAs, they are specialized specifically in taxes, including complex tax situations. They even need to take a test every three years to ensure they are up-to-date in all of the latest tax regulations. Like CPAs, they can represent you in the event of an audit or collections. Tax attorneys are lawyers specialized in tax law. They are most often used for highly complex tax matters such as estate tax returns of if you need representation in Tax Court. Not all accountants are tax experts. If you’re shopping around, it’s important to ask accountants about their previous tax experience and areas of expertise. This is crucial if you need an accountant with experience in certain areas such as home businesses or other circumstances that could complicate taxes. Any licenses or accreditation that help to support their skills and knowledge are also beneficial. Cost is top of mind for most people, so be sure to ask about fees! Find out the hourly rate and get an estimate for how long the return will take. Not every firm will charge the same rate, so be sure to ask Talk to potential accountants to learn if there are things you can do in order to keep the fees down (i.e. organizing documents). Finally, be sure to ask what is and isn’t included in their fees. Find out the costs for “extra” or additional services so that there are no surprises when you get the bill. Don’t be afraid to ask questions, take notes, and compare your options. Above all else, be sure that you are comfortable with the accountant you choose. Whether you need help with a simple return or you have a complicated tax issue, contact Liu & Associates today!